Commercial Locksmith in Phoenix AZ | Phoenix Locksmith Inc. The security features that are typically found on commercial locks tend to be much more complex than that of a house and they require special tools and skills to properly work on them. 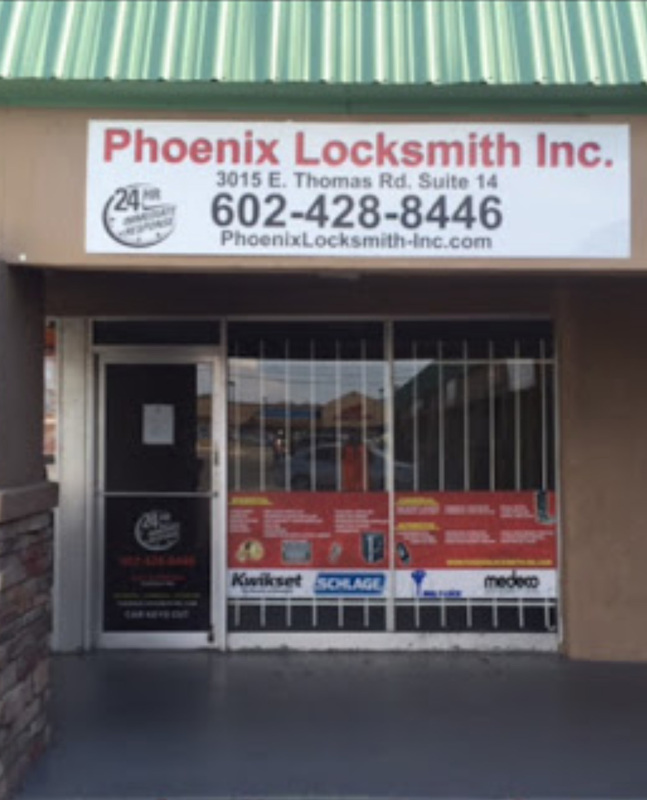 This is where Phoenix Locksmith comes in – as a top commercial locksmith in Phoenix, AZ we have the technical background and expertise to address commercial locks which makes us the number one choice for commercial locksmith service. With our 24-hour locksmith service in Phoenix, we can ensure that your business opens on time if your commercial locks are malfunctioning or you lost the key. Our commercial locksmith technicians are always available to help you – regardless of how early or late your business is open! On top of that, we can also provide you with other commercial locksmith services in Phoenix, AZ like opening filing cabinets, storage rooms, safes and more. Additionally, we can upgrade and enhance your property security with electronic keypads, heavy duty locks, key cards, intercom systems, doorbells, buzzers and more. If you need emergency locksmith service, security enhancements or even garage locksmith services, you can trust Phoenix Locksmith as your commercial locksmith in Phoenix, AZ to provide you with the best service! Contact us today by calling (602)428-8446 and get a free estimate over the phone!